"When I entered him in 12 events, he didn't have too much to say about it. He went out and did it." "We were afraid to let Marion throw the javelin in practice because he might kill somebody." - Dana College track coach, Wayne Armer, talking about amazing 3-sport (football, basketball, track) Marion Hudson who is "one of the greatest athletes no one has ever heard of". He probably could have gone pro or to the Olympics in any of his 3-sports if it weren't for 1950's racism, but today Dana College is shut down and no one remembers who he was. Karen Harvey: Bad attitude when it comes to FSU not doing too well? 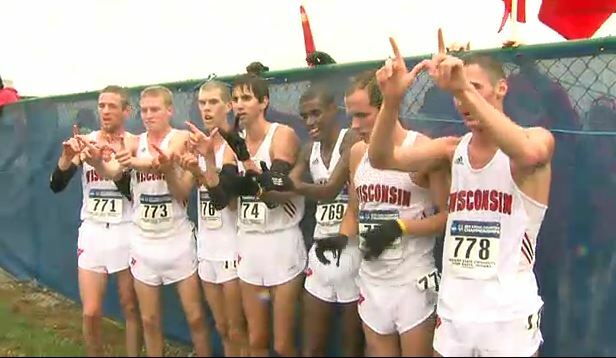 Today: NCAA 4th Placer Cameron Levins Running Canadian XC Championships Results will be posted here. Tomorrow: Preview Of Delhi Half Marathon World Half bronze medallist Sammy Kitw (58:48 PB at RnR Philly) up against stacked field including 2010 runner-up (59:38) Lelisa Desisa, and sub 60-minute runners Philemon Limo and Dino Sefer. Defending champ Aselefech Mergia leads a deep women's field including 2006 Commonwealth Games 10k champ Lucy Wangui Kabuu. Kabuu thinks Mary Keitany's 65:50 WR could go down, but we seriously doubt it. *Future Blade Runner? Oscar P Visits And Gives Advice To 4-Yr Old Boy With Artificial Legs He told a story of when some bullies hid his legs away and pretended there was a fire, leaving Pistorius to "scurry around looking for his legs." *Did Steve Mullings Get A Raw Deal? Nope. *Will Bahamas Have 1st Olympic Distance Runner? O'Neil Williams has moved to Kenya to train and try for the Olympic "B" standard in the 5k. His PR is 14:00 and he needs 13:28. Manchester: Brian Olinger, Sally Kipyego Win 75th Manchester Road Race ZAP's Landon Peacock and Team USA Minnesota's Andrew Carlson were 2nd and 3rd. Silicon Valley: David McNeill, Jackie Areson, Win Silicon Valley Turkey Trot McNeill ran 13:33, Arizona redshirt Stephen Sambu was 2nd, Diego Estrada was 3rd only 3 days after NCAAs, Ritz was 5th (13:49). Race videos/photos posted here. IAAF Preview This Sunday's Florence Marathon 2:07 man Teshome Gelana leads field on new, faster course. 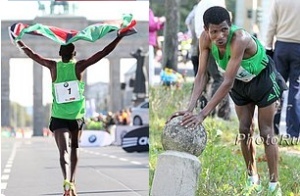 IAAF Preview Of African Mountain Running Champs Ethiopia's Abede Dinkesa will defend his title. *Science Of The Sport Examines Talent Vs. Training And Refutes The "10,000 Hour Rule" Says the "10,000 hour rule" is "nothing more than the realization of genetic potential." 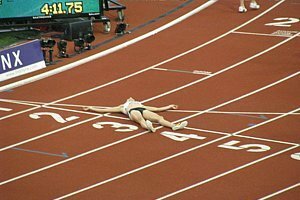 *How Laziness Makes You A Better Runner Basically a study says your body tries to finds a stride/form that uses the least energy when running. Silicon Valley: Ritz, Stephen Sambu, David McNeill Racing At Thursday's Applied Materials Silicon Valley Turkey Trot/5K Sambu was the NCAA XC runner-up last year and has apparently turned pro redshirted this year at Arizona. Manchester: Manchester Road Race Turns 75 And Sally Kipyego Gunning For Course Record This is the Granddaddy of all Turkey Trots. Calling it a Turkey Trot is a slap in the face to its history. Sacramento: 1,500m Olympian Michael Stember Trying To Break 18 Minutes For 5k For Charity Thanks to LRC advertiser CharityBets, washed-up former Olympians (and you too) can race for charitable causes. Michael is racing for the amazing American Indian Model Schools. If you want to support the cause, click here. Is Lawi Lalang on drugs? UK Shot Putter Gets Nine Months In Prison For Trafficking Steroids, UK Anti-Doping Trying To Figure Out Who Drugs Were For Give him one month less of prison for every athlete he spills the beans on. A Brief Chat With Brett Gotcher - The 2:10:36 Guy Was In Great Shape On Oct 2nd (46:51 10 miler) - Will He Be Ready In January? Benita Willis Talks About Training In Boulder With New Coach Brad Hudson Willis was the 2004 World Cross-Country champ. Craig Mottram Running 5,000 On Thursday Night As He Gets Ready For Zatopek 10,000 On Dec. 10th The hope is that he goes sub-13:30. London 2012 Olympics: Volunteer Uniforms Revealed The uniforms "look remarkably similar to those worn by in-store employees of Paralympic sponsor Sainsbury's." Hmmm. Looks like they also have an adidas logo on them. Military To Have Far Greater Role In London 2012 Security Than Expected And to think everyone in America thought Europe made the USA use our taxpayer dollars to protect them. British LJ Record Holder Chris Tomlinson Says Druggies Have Cost Him Medals "It should be one rule for all, and for me that would be a four-year ban at least, and also an Olympic ban. I think that is the kind of severe deterrent that is needed, because if there weren't drug takers in my sport I'm sure I would have finished higher up the medal table in a number of competitions and had a few more pennies in the bank." Lean Times For The Sacramento Sports Commission After the Olympic Trials followed Nike's money to Eugene, it's been hard for Sacramento to get big events. Such a shame, as they did a great job with NCAAs and USAs. Penn Student's Brother Remembers He collapses after finishing the half in 1:58:06. *RIP: Two Runners Die After Collapsing In Philly Marathon A 21-year-old man collapsed at the finish line and a 40-year-old collapsed about a quarter-mile before it. *Philly Marathon: Tuko Folisho Wins In 2:19:16 Mariska Kramer wins women's in 2:35:46. *Philly Half Results: Samuel Ndereba Wins In 64:04 (Close Race Places 1-6) Yihunlish Delelecha wins women's in 1:12:42. *Video Interview With Haile Post-Race Says that the race went out too slow. 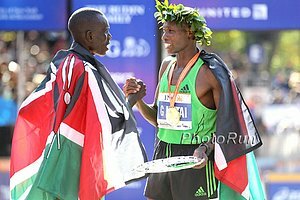 IAAF Recap Spain XC Meet:: World XC Bronze Medallist Vincent Kiprop Chepkok Gets The Win World Marathon silver medallist Priscah Jeptoo dominates the women's race. Crazy: Kenyans Race Against Strong Winds, Hot Conditions, And Possible Wildlife Attacks At Masai Half Marathon Nicholas Kipkemboi won in 62:28, Jemima Chelagat for the women in 67:07. Kipkemboi: "Coming here to win makes me proud. There was of course the fear of the wildlife, but I knew there was enough security so I had time to focus on the race." 2006 Boston Marathon Champ, Rita Jeptoo Busienei, Wins Local Kenyan Marathon Easily In 2:36:15 Paul Koech won the men's race in 2:15. *Japan's Ryoko Kizaki Wins Yokohama International Women's Marathon She won over 2009 World Championships silver medallist, Ozaki, but said, "I was close to giving up when she spurted in the last two kilometres, but I tried not to give up until the last hundred metres. I kept thinking that I want to go to the London Olympics." However, her time might not be fast enough to get her selected. *Japan Running News Recap Yokohama And Other Japan Results Japan marathon NR holder, Mizuki Noguchi, fades in Neijmegen 15k and gets 5th. Q&A With World University Games 800m Champ Lachlan Renshaw Includes video with a pretty crazy last 100m. Renshaw is part of OTC and trains with Nick Symmonds and Tyler Mulder. Gives some insight into the OTC mid-distance training under Coach Mark Rowland, whose program seems to emphasize mileage more than many mid-d programs. LRC Geoffrey Mutai Amazes Again, Adam Goucher Retires, & Lukas Verzbicas Calls It Quits We go behind the scenes to take a look at the last two weeks in the running world, which included the NYC Marathon, Adam Goucher's retirement, and Lukas Verzbicas leaving Oregon mid-season. Plus we take a look at the Phil Hersh-Ryan Hall spat and compare Hall to Tim Tebow. Look Out, Nike: Kenyan Brand Kourage Launched Of course Nike and Kourage both don't have a chance since Puma has partnered with little LetsRun.com for the LRC Puma Faas Challenge. LRC 2:05:06!!! Geoffrey Mutai Caps Year In Style An unbelievable year in men's marathoning had an appropriate finish, as the Kenyan man who had the most unbelievable of all years, Geoffrey Mutai, smashed the previous NYC Marathon record by a stunning 2:38 - that's two minutes and 38 seconds. If it wasn't the greatest 2nd-greatest men's marathon performance ever, you'll have to tell us what was. American Meb Keflezighi hung with the leaders for 20 miles after a blistering 63:16 1st half and ended up with a much-deserved PR. Mutai picked up $200,000 by winning, but the big financial winner was runner-up Emmanuel Mutai, who won $635,000 ($500,000 for the WMM title). LRC Mary Keitany Beats Herself The women's race was full of gut-wrenching drama, as Mary Keitany went out in a crazy 67:56. The problem was she came back in 74:42, as unheralded Firehiwot Dado (Rome Marathon champ) got the win. LRC Post Race Interviews: Meb And His Coach Bob Larsen Talks About His PR Despite Throwing Up Plus the winners Geoffrey Mutai, Firehiwot Dado, men's and women's top 3, Ed Moran, Molly Pritz, Lauren Fleshman and Bobby Curtis. Recommended Read: A Look Back At The '54 Drake Relays Jav Winner, Marion Hudson An amazing 3-sport athlete from the now non-existent Dana College, who many say racist attitudes in the 1950's kept him from going pro or competing in the Olympics. Article calls him "one of the greatest athletes no one has ever heard of." 33-Year Old Bolota Asmeron Is Getting Ready For The Olympic Marathon Trials He ran a 1:03:06 half to qualify and says he's shooting for "top 3 at least." Asmeron: "I've run like two and a half marathons and I feel like I'm a contender. I don't see anyone else out there having a better chance than me." We wonder if he'll run it in a speedsuit? Butcher's Blog Says It's Time For Marathons To Leave The IAAF "The time is ripe for a split from the IAAF; and the creation of an independent international road running federation which can oversee and regulate the sport properly." IOC Encourages India Not To Consider Boycotting Olympics As It Would "Only Hurt The Athletes"
UK's Steph Twell May Quit Cross Country To Focus On Track After Coming Back From Broken Ankle The ankle doesn't hold up as well on the muddy surfaces of cross country. UK's Cyclist David Millar Accuses BOA Of Being Too Political And Not Looking At The "Big Picture"
Olympic TJ Champ And WR Holder Jonathan Edwards Named President Of The Wenlock Olympian Society This is the club from which the Olympic mascot gets its name (Wenlock). Speaking of the weird looking mascots, aparently they star in their own children's animated movie in the UK. If Andrew Valmon And Maryland Track Program Can't Raise $9.5 Million By June 30th, They're Done Washington Post Fitzgerald Mosley: "One of the reasons we're so strong - the No. 1 track team in the world - is because of that college system. If the University of Maryland cuts its men's team, what's [the collegiate landscape] going to be looking like five or 10 years from now?" Toni Reavis: "Distance Racing Has Hit The Wall" Reavis complains about the economic status of US distance running and, like us, he criticizes the Competitor Group for cutting prize money and paying one big pro to "solo effort" their races for an easy win. Blogger Refutes Reavis And Says Distance Running Is Healthier Than Ever (Even If Not Financially) "Running is really about other things - competition, testing boundaries, being fit - isn't it? And by those measures the sport has never been healthier." Master Athletes Are Getting Caught Doping, Too However, many claim to be taking "banned" substances for medicinal purposes. *India Threatens To Boycott 2012 Games They're protesting London's sponsorship deal with Dow Chemical, the company that owns Union Carbide, which was responsible for the huge 1984 environmental disaster in Bhopal. *Breakdown Of US Legs At Chiba Ekiden Bobby Curtis, Janet Cherobon-Bawcom and Robert Cheseret were on the US Team, as was Bobby Mack, who ran well. LRC Men's 2km Standings *5km Standings *8km Standings *Women's 4km Standings We've hired a Chinese expert used our excel training to let you stat geeks take a look at where everyone in the field stood at the various checkpoints within the race. Who blew up the most? Who moved up the most? Lawi Lalang: "After the 4k, I was ready to go. If anybody was going to go with me, I was ready." 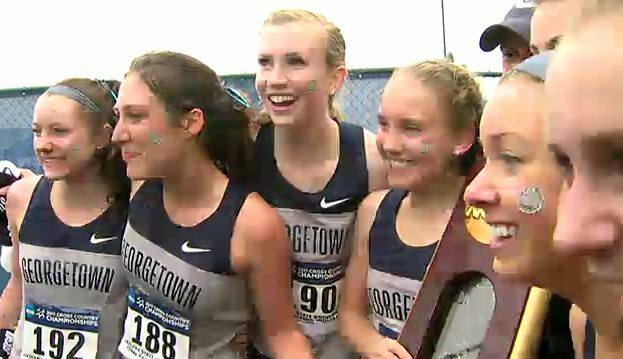 Jordan Hasay: "I thought I had it." "I thought I had it. I was keying off her. I knew she was the one to beat. It just came down to the last couple of strides. It's kind of a bummer to get all of the way to the end and get beat." Nice Pre-Race Article On Lalang With Nice Quotes From Coach Li: "Lawi is not the same now as he was last spring. He is better and he is more confident ..." "But this is his biggest race ever and there are great expectations. You still have to race on the day. I am eager to see how he responds." LetsRun.com says - He responded quite well. Commentary: Mullings ban "sad day in Jamaica's track and field history." 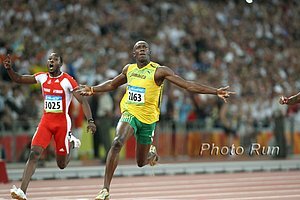 More Sprint News: For 1st Time In 8 Years, Asafa Powell Will Run Indoor Season Clearly the choker former world record holder needs to change something up. Getting used to pressure at World Indoors is a good start. Soap Opera: 1991 World 10,000 Champ Liz McColgan Cleared Of Attacking Husband But the evidence reveals she had been having an affair, he had installed spyware on her computer to track her typings, and he had a secret SIM card to send her and her boyfriend text messages. Jorge Torres Will Miss Olympic Marathon Trials After Injury Sustained When Hit By Car In Ireland "I think I've found somewhat of a path. Is it the right one? I don't know. I'm just doing the best with what I have. It's just the approach I've taken. When I retire, looking back, I can say I at least gave it a shot in the post-Greg Fedyski years." A Brief Chat With Binghamton University's Erik Van Ingen Talks about his independent film which is a documentary that follows Chris Derrick (Stanford), Riley Masters (University of Maine), Kyle Merber (Columbia), and Mark Feigen (Columbia) through a summer of training. It's called The Real Maine and you can see the trailer here. Villanova Alums Trying To Get Former World Record Holder Sydney Maree Out Of South African Prison Last month's Philadelphia Inquirer feature on Maree has motivated some people to try to help. It appears he may be sleeping on the floor due to overcrowding. Nick Symmonds Talks About His Leading Of The "Occupy USATF Movement" We feel Symmonds and the athletes' pain but don't think the lack of advertising space on a singlet is the key reason why athletes don't have big endorsements. Sports stars get endorsements and most runners aren't stars. Buick was never on Tiger Woods' jersey, McDonald's never on Lebron's. *(Boston) Marathon Monday Ranked One Of Best College Traditions At Boston University Day drinking is a plus for most people, including this student. "Definitely, the wildest and most out-of-control moments in my college life have been Marathon Monday and Halloween. I mean on Marathon Monday you have the day-drinking, and it's spring time so kids are kind of going a little nuts because it's finally warm in Boston." *An Incredible Hire: Allen Johnson Hired As Air Force Assistant We wouldn't have even made him interview. 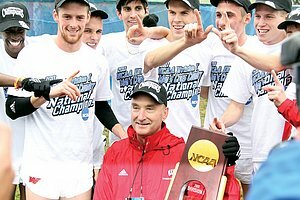 He Will Be Missed Adam Goucher Retires Goucher is having knee surgery on Friday and says his competitive racing career is over. We've always said that one way to judge whether a runner's career was a good one or not is simple: Were They Good Enough That They Could Retire Or Just Quit? Goucher certainly is retiring, as he had an INCREDIBLE career - Foot Locker champ, NCAA champ indoors, NCAA champ outdoors and NCAA champ in XC, USA champ in XC and track and an Olympian. Goucher is a runner at heart and we wouldn't rule out seeing him in the 2016 Marathon Trials. 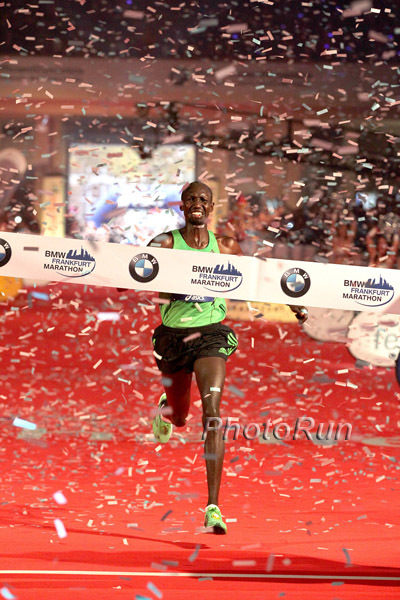 Frankfurt: Oh-So-Close: 2:03:42 - Wilson Kipsang's World Record Assault Comes Up Just Short IAAF The world of marathoning continues to be simply amazing on the men's side. *AP Recap Levy Matebo was second (2:05:16) and Albert Matebor third (2:05:25) as the women's CR was broken by Mamitu Daska (2:21:59). Pre-Race: Last Year's 2:04:57 Course Record Holder Wilson Kipsang Says World Record Can Fall At Sunday's BMW Frankfurt Marathon Kipsang may be getting a bit ahead of himself, but he's very good. More on Kipsang here. LRC Moses Mosop A Superstar, Liliya Shobukhova Becomes Second-Fastest Woman Ever Updated Moses Mosop dominated the final miles in Chicago after Wesley Korir tried to make it interesting. Russian Liliya Shobukhova ran 2:18:20 to become the second-fastest woman ever. American Ryan Hall ran 2:08:04 for 5th. 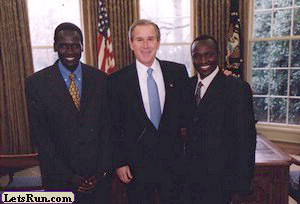 Great for any other American marathoner, so-so for him. LRC: Wesley Korir Impresses With 2:06:15 Second Place In Chicago The former Louisville Cardinal broke the race up with a surge at 30km. Afterwards, he revealed what he was trying to do. LRC Non-Quotes Of The Day From 2011 Bank Of America Chicago Marathon Hall talks about what 2:08 means, Canova talks about the world record. LRC Chris Thompson, Sara Hall Win, Ritz Is 3rd (link fixed) Hall continued her fine fall campaign with the win in this race that serves as a huge NYRR recruiting tool. Most importantly for US distance fans, Dathan Ritzenhein did well and emerged from the race healthy (link fixed to story with Hall interview). LRC Healthy Ritz Talks About Marathon Trials, His Track Ambititions And More After double foot surgery in March, a healthy Ritz ran what was likely his only race before the Olympic Marathon Trials in 10 weeks. He talked about his preparations for the Marathon Trials, his desire to run faster on the track, and showed he stil has a lot of fire: "The talent's still there. I'm still young. I'm 28 so hopefully I just keep getting better." 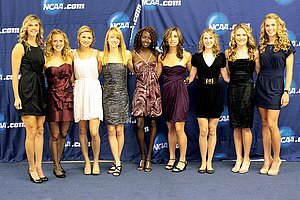 LRC NCAA XC Prediction Contest Powered By Puma Our world-famous NCAA Prediction Contests are back. Tell us who will win in Terre Haute and you could win some cool Puma gear or $200,010 if you have a perfect ballot. Olympian Stember On Dunking A Basketball, Nerds Running Cross-Country, And Trying To Break 18 Minutes For 5k We know it drives a few people nuts when we call one of our own interviews a MUST read, but we are quite proud of this one. Stember talks about everything - from wondering if he really should have been an 800-meter runner, to having figured out the inner-city school problem, to solving the energy crisis and much more. Along the way he admits he once ran a 4-minute mile after months of drinking and only 3 weeks of running, admits to Gallowalking during his current training and says he has secured a rabbit to pace him to a sub-18 5k so he can win his bet on CharityBets. 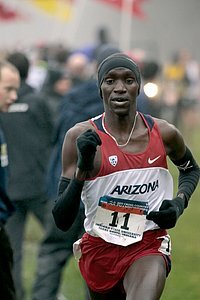 LRC Week That Was: Wilson Kipsang's Near Miss, US Men's Marathoners Vs. Frankfurt, Mark Wetmore And CU At PAC-12s And The Wisconsin Men At Big 10s We take at look at Wilson Kipsang's near world record run in Frankfurt, discuss how the entire history of US men's marathoning was eclipsed in Frankfurt and then turn to a discussion of NCAA XC action. Anyone else run hard workouts in the very-early morning? Anyone ever made a comeback after something serious (cancer)? Couple questions about summer training? 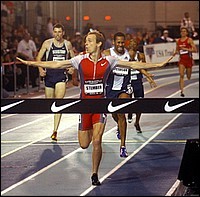 LetsRun.com's Weldon Johnson gives his top 10 training tips in this letsrun.com classic when the site first launched. They helped him knock 1:22 off his 10k PR in one race and will definitely help you, too. 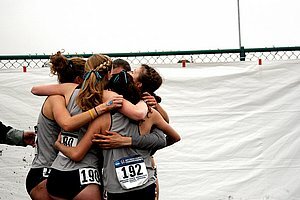 LetsRun.Com coaching consultant John Kellogg outlines his basic coaching approach and gives the four principles to correct training for elites. LetsRun.com co-founder Robert Johnson translates Mr. Kellogg's approach so that it is beneficial for the masses. Why I Sucked In College Perhaps Wejo's most popular training article ever. 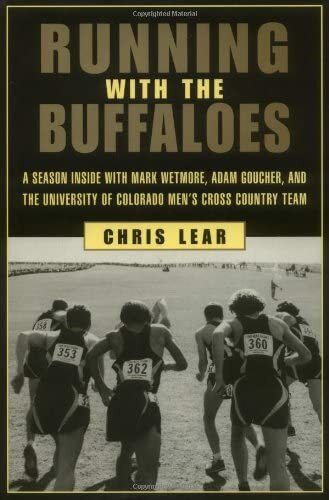 Wejo explains why he was only a mediocre college runner, yet ended up running 28:06 for 10k. "In running however, there are not bonus points for running 'hard.' The point is to run fast. There is a difference. Don't forget that." - Letsrun.com's Wejo explaining "Why He Sucked In College" but went on to be 4th in the country in the 10k. The Party Scene In Eugene We went way back in the archives to relive the 2001 USATF Nationals party scene. 2006 USATF LetsRun.com/Reebok XC Post-Race Bash We upped our game a bit and sponsored the official post-race party after the biggest race in Boulder's fabled running history. Best Running Movie Of All Time We opened it up to our esteemed viewers and they picked the best running movie of all time and the top 10 running movies of all time. LetsRun.com's Wejo went to Kenya for the World XC Championships and then he toured the country and explored the secrets of some of the Kenyan greats. See some of his insights on this incredible country. Controlled Chaos Read about incredible one-of-a-kind 2007 World XC Championships in Mombasa, Kenya. Tens of thousands of people packed like sardines, hanging in trees, in oppressive heat, all to see the Cross-Country Championships for the first time in Kenya. There will never be a party like this one again. Kenyan Distance Running Part I: Kenya, The Land Of Opportunity You've seen the highly praised photos, read the incredible race recap, now learn about the Kenyan distance phenomenon. In this article, Wejo looks at the motivations of Kenyan runners. Running in Kenya is by-and-large about one thing: money opportunity. You Know You're A Runner If ... Our readers fill in the blanks with some hilarious responses on the message boards.